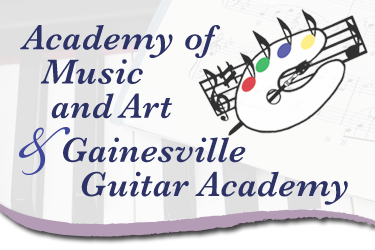 The Academy’s String Program Director, Dr. Maluh De Felice, offers a variety of Methods to suit individual students of Violin, Viola, Cello and Piano. One of these that is most successful for all ages is the Suzuki Method, also known as the “Talent Education Method”, which develops the Suzuki method for students of these instruments at the Academy of Music and Arts. For children and adults, this method, also known as the “Talent Education Method”, develops musicality in a pleasant yet disciplined way. Because of that, parents are a fundamental part of the learning process for young students, as they are the ones who better know their children and they are in charge of practices in the house, being the “Suzuki teacher at home”. Dr. Suzuki wanted his method to be known as the “Mother Tongue Method”, as students learn to play the songs by memory, just like the way we naturally learn our native language. Reading music is postponed, just like one first learns to talk, then to read, but learning musical notation is an integral part of the learning process starting at intermediate levels. The method is comprised of two weekly classes, one private and one in group, as each one develops different skills, reinforcing and complementing each other. It allows an early beginning (3 years old) and is based on the idea that anyone, independently of age and/or previous knowledge, is able to learn. Each student goes on his/her own pace. Dr. Suzuki truly believed that parents are responsible for the development of their children’s character, and that one of many ways they can achieve that is through the daily practice of an instrument. For each instrument there are 10 books. Upon completion of those, students will confidently be playing in an early advanced level, and they are encouraged to continue their practices with standard methods and repertoire selected together with the teacher.